“There’s always something!” common quote by farmers usually said with a shrug and tired smile. This farming game is tough. The something right now is mycotoxins in the 2009 corn crop. Mycotoxins are by-products of mold growth. 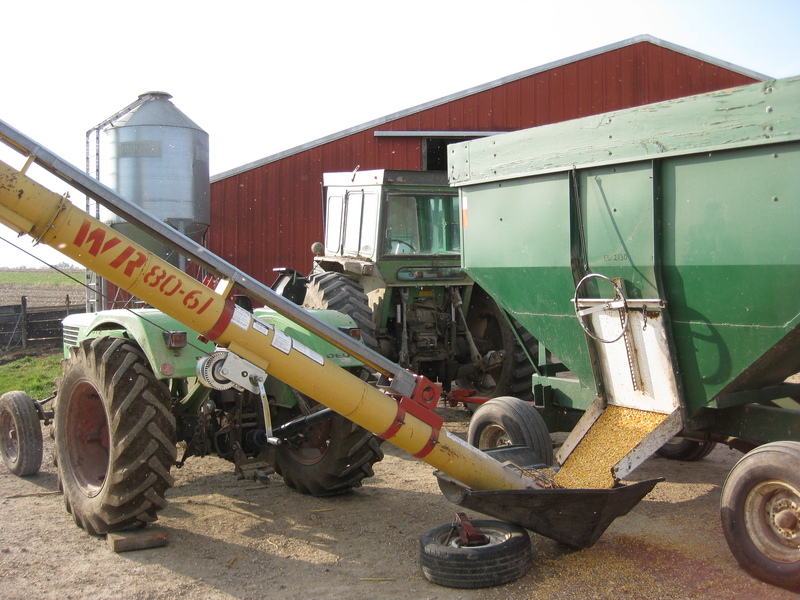 Animals exhibit poor health when fed grains contaminated with mycotoxins. Our feed salesman took a sample of our corn expecting to find high levels of the three mycotoxins being found in this year’s corn crop. He said that much of the corn crop in Ohio was contaminated and he had already found high levels of mycotoxins in some of his customers’ corn in Wisconsin. He knew of a farmer who still had much of the 2008 corn crop on hand and counseled us that we should try to sell our 2009 corn and buy his old corn. This would be a logistical headache for us. Thankfully, we didn’t have to consider this. We sent a sample of our corn to Holmes Laboratory Inc. in Ohio. The test came back with acceptably low levels of Vomitoxin, Zearalenone, and Fumosin. Two months ago I had never heard of these three mycotoxins. Aflatoxin was the only mycotoxin I had ever heard of. 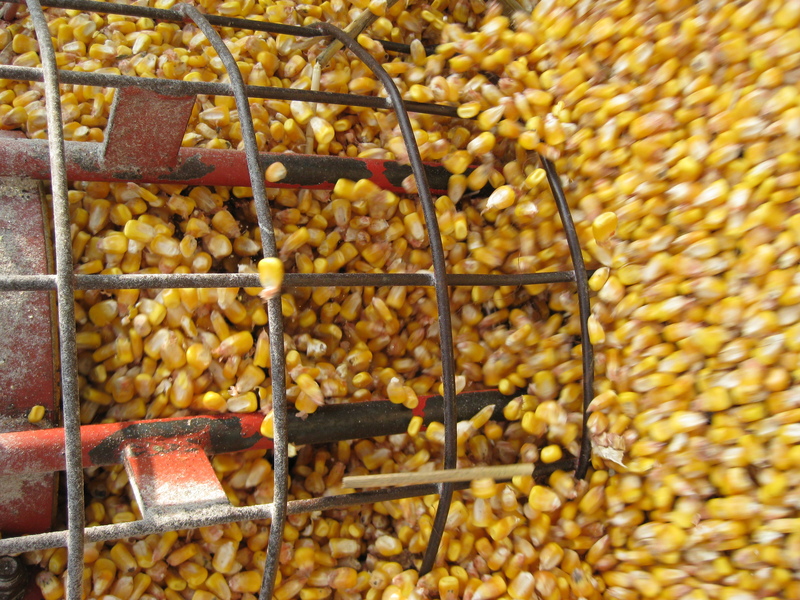 If your corn does have high levels of mycotoxins, you can blend with good corn to reduce the level of mycotoxin in the feed. You can also put additives in the feed that absorb and bind the toxin or deactivate it. JBS United conducts research on the effectiveness of additives. I have no idea why our corn has low levels of mycotoxins while others find high levels. Sometimes it’s better to be lucky than good. This entry was posted on Sunday, November 22nd, 2009 at 10:37 pm and is filed under Curious crops, Curious hogs. You can follow any responses to this entry through the RSS 2.0 feed. You can leave a response, or trackback from your own site.